The first brochure of the EUKI provides information about its objectives and how this young initiative works. It explains the selection procedure for EUKI-financed projects and how the exchange of knowledge is organised at the EUKI Academy. It also summarises the initiative’s milestones in the years 2017 and 2018. 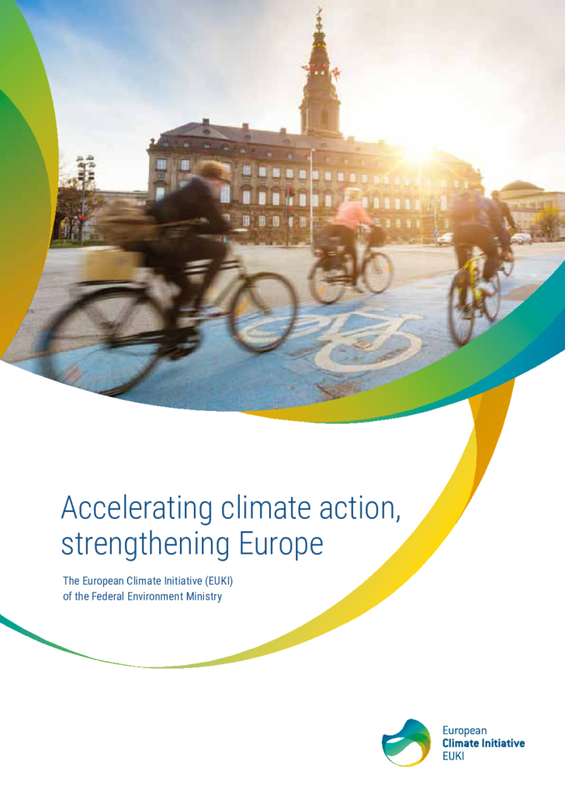 The second part of the brochure provides a detailed description of the wide range of EUKI projects in the eight EUKI core areas, such as energy, mobility and climate-aligned finance. In addition, we present lighthouse projects and interviews with the involved parties from each topic area. At the end of the brochure we list contact details for all projects and thus provide an overview of the growing EUKI community.